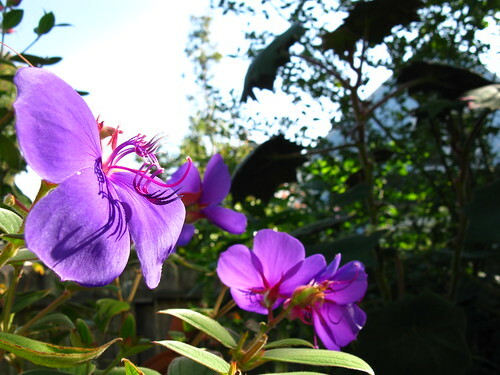 I had never seen the Tibouchina before, it's gorgeous! 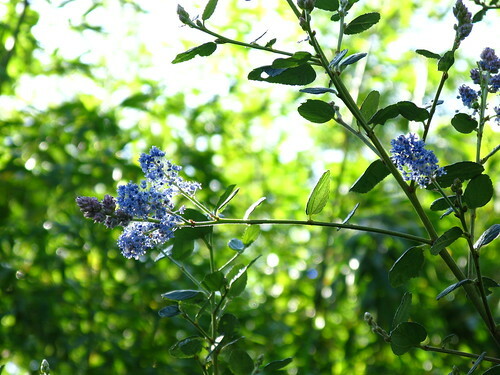 I wish I could grow Ceanothus here, but the flooding issues I've had have convinced me not to even attempt it. I like your Fuchsia 'Miep Aalhuizen'; I think it's prettier than the Fuchsia boliviana 'Alba' that you more often photograph. 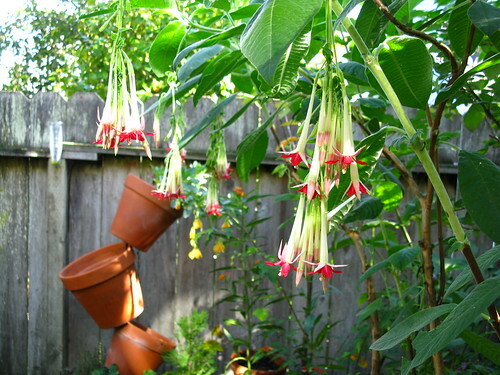 I love the foliage next to the first fuchsia that looks like curly-q's. Some kind of fern? Whatever it is, it adds a lot of fun to what I consider to be an elegant kind of plant. I tried to guess what the flowers were before scrolling over them. I'd give myself a C+. I am not sure I could have something that smelled like chocolate making me hungry in the garden. 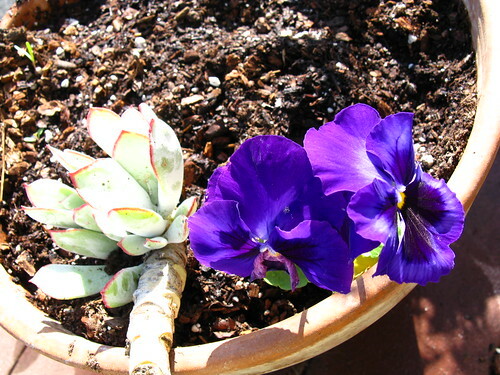 I never seem to know the names of the flowers you grow, except I did recognize the pansies. I've got some of those but they are nearly shot for the season. Anyway, your climate and mine are very different! That's more than I got. 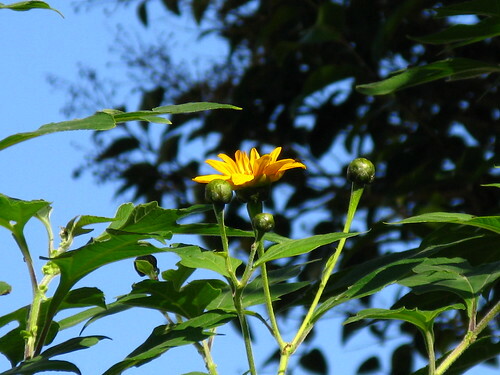 I will make an attempt this afternoon on a long deserved stroll to come up with some tattered blooms. Lots of blooms and nice weather this November. Love the ablutilon. 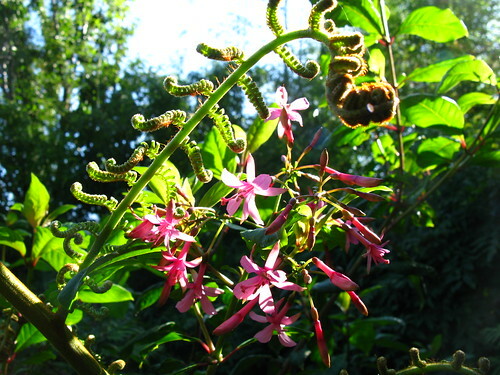 What's that cool looking caterpillar like plant in the second pic? Those first several shots make me think you have the Hanging Garden of San Fran. There's something so exotic about blooms that hang down. 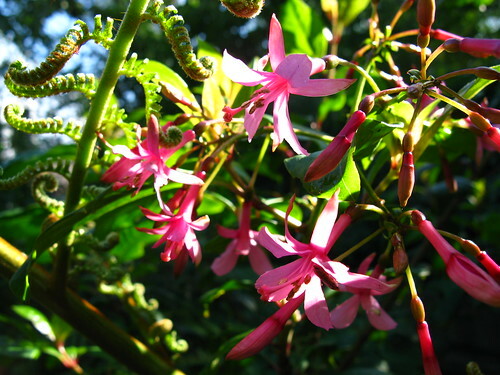 I love your Brazilian Fuschia, with the clusters of dripping red stars. Looks like you had lovely light when you were shooting. It was rather gray in Austin this morning, though not cold. I see your abutilon is in full bloom. Mine haven't started up yet, but my 'Marilyn's Choice' has quite a few buds. Beautiful fuschias and that high-contrast lighting makes it look extra rainforest-y. The color on those Tibouchinas is amazing. The flowers look beautiful and the weather just as good! I love the fuchsias! Happy GBBD Chuck, like Amy I loved the colour of that Tithonia... stunning! 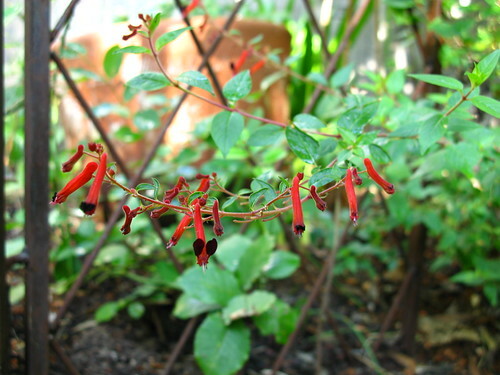 I was hoping you'd post some pictures of your gorgeous fuchsias! Truly lovely....thanks for the garden tour today! Their faces may look familiar but I can never remember their names! The scroll over thing is excellent, Chuck, and Pam is so right about the light. I tried some of mine 3 times over the weekend and they're just flat. At this house I can only get Pansies to grow in a pot or hanging basket. I suspect the pillbugs commit pansicide when they're planted directly into a flower bed. OMG...I wish I had some of your wonderful sunshine, I'm so jealous... yes I am. I haven't seen the sun more than 10-15 min. this month! It was a friday that I do remember :-) Thank you for a lovely tour in your garden. Great tour Chuck. You pack a ton of color into a limited space. Thanks for sharing with the rest of us. Gorgeous Bloom Day post. 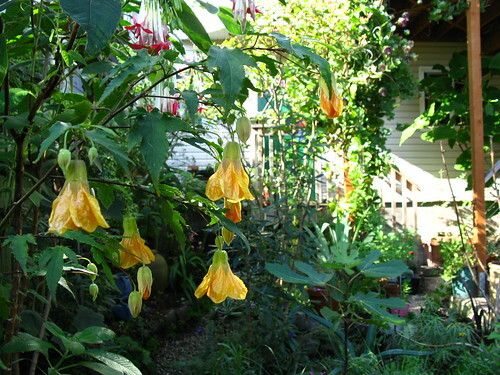 The fuschias are amazing and I love the Cobaea. Hi Chuck, the hanging gardens of Bernal seem appropriate here. Chocolate tithonia is not one I remember, nice large leaf too, a good one. 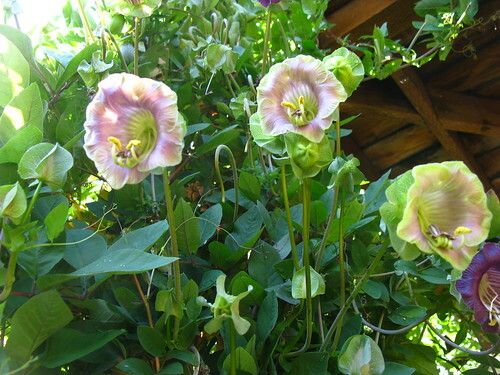 The cobaea is still in full out bloom here as well. 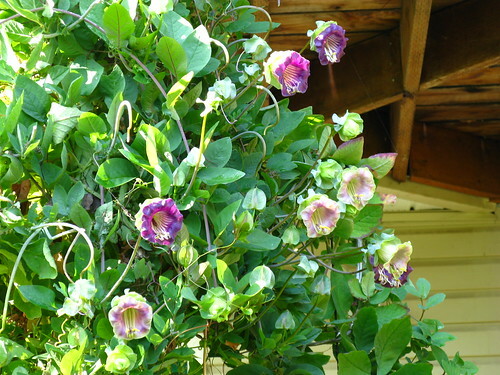 Eveytime I go by the arbor, another five feet or so of vine has appeared. It is reaching out to all passersby and the arborvitae hedge. You must have to pinch it back continuously to keep it from eating your deck. What happens when you are away for several days, or shudder a week? My fuchsia bol. is alive, that is about all I can say for it. The PCH iris is also alive and doing well. I moved it and thought it died, but it has sprouted new leaves and looks good, if small. High hopes for that one. Hope Moonlight survived the move to the ceonanthus, you didn't mention it.